PNG’s major revenue earnings from the PNG LNG Project may yet again be affected as spot prices are expected to fall around the time production resumes. Chairman of FGE, Dr. Fereidun Fesharaki, says this is expected in the short term while the medium to long term looks promising with global prices expected to stabilise. In his Global Energy Industry overview during the 2nd Petroleum and Energy Summit on Monday (March 19), Dr. Fesharaki said the recent earthquake in the highlands affected the potential revenue to be made from the increase in LNG prices currently experienced. He, however, had further bad news, saying the estimated resumption of the PNG LNG Project could come at a time when sport prices were also falling. “In the short term some softness. The spot prices may go down to US$5 per million British thermal units (mmBtu), maybe even lower by the summer. And then I think the winter US$7 (mmBtu) or US$8 (mmBtu). “However, once we pass this next two to three years, we will see a very strong LGN market,” said Fesharaki. 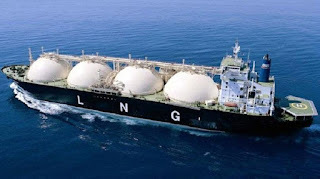 Dr. Fesharaki said global energy prices are expected to stabilise above US$60 over the next two to three years before prices are expected to drop again as new LNG markets in Australia and the US enter. Recently there has been a decrease in Final Investments Decisions (FIDs). This will create a demand for LNG markets in the next five to six years. Dr. Fesharaki said this will be an opportunity for PNG to tap into this market. “Any new project in Papua New Guinea, expansion of the PNG LNG and Papua LNG should be looking at capturing that market, and for that we need to have FID in the next 12 to 18 months,” he said. Discussions on the PNG LNG expansion project are still underway while the Papua LNG Project is expected to go into Front End Engineering Design (FEED) in the second half of 2018.